Italy’s wine culture is known for its vast number of grape varieties, and their incredibly complicated interconnections. Happily, the wine classification system is much easier to follow, with just a few broad categories that mirror those of France. 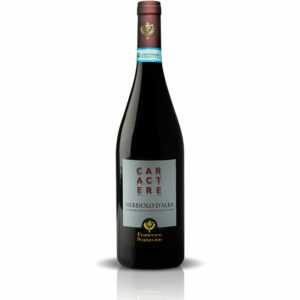 Denominazione di Origine Controllata e Garantita, or DOCG, is the top echelon of Italian wine, covering some of Italy’s most famous wines, like Barolo, Prosecco, Chianti, Brunello di Montalcino and Amarone della Valpolicella. 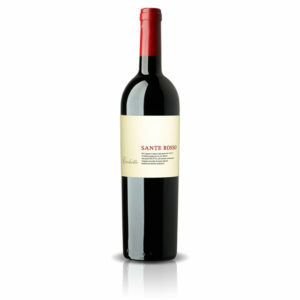 The classification specifies the geographical area in which a wine must be made, as well as certain requirements about the winemaking process, like the quantity of grapes that can be produced per Hectare and how long a wine must be aged in oak. 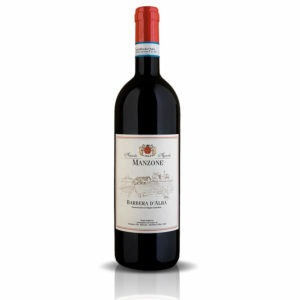 DOCG wines tend to have more restricting rules than their DOC counterparts. Barolo’s classification has an added layer of complexity, albeit a non-official one. Barolo’s geographical area is divided into crus, or parcels of land that produce distinct styles of wine. Traditionally, these parcels were blended, but more recently, producers have begun to make single-vineyard wines, emulating the Premier and Grand Cru wines of Burgundy. 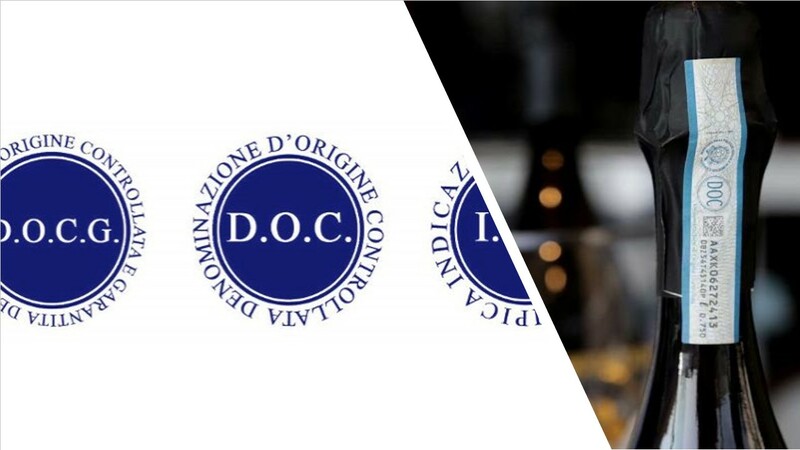 The second tier of wine classification in Italy is DOC (Denominazione di Origine Controllata). 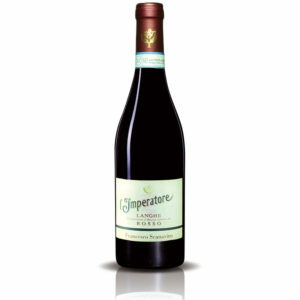 Most everyday Italian wines fall into this category – things like Valpolicella, Montepulciano d’Abruzzo and Soave. In fact, there are more than 250 DOC wines made in Italy, each with legislation that sets out the permitted grape varieties, the minimum alcohol levels, and the ageing requirements. Indicazione Geografica Tipica, or IGT, covers grapes from a specific geographical area, but offers winemakers more freedom in terms of grape varieties and wine making. It sounds like it should be less prestigious than DOC and DOCG, but in fact, some of the country’s most famous and expensive wines are classified as IGT – the Super Tuscans. Frustrated with the lack of wiggle room in the DOC and DOCG laws, some producers in Tuscany began to make wines using outsider grape varieties like Cabernet Sauvignon and Merlot, on top of the permitted Sangiovese. These wines, which began popping up in the 1970s, were classified as simple table wine until 1992, when the IGT classification was created. There are a couple of other notable categories in Italian wine, particularly at the top end. Riserva denotes a wine that has been aged for a longer time than the standard wine, while Superiore denotes a wine that has a higher percentage of alcohol by volume than is necessary for the appellation (which usually means it has been made from superior grapes). 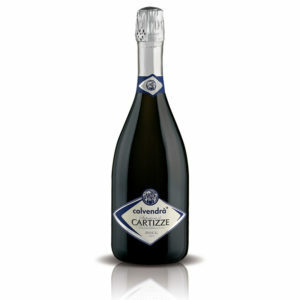 Millesimato, seen mostly on sparkling wines, simply means that the wine is from a single vintage, like our great line of prosecco Bepi and Cartizze or the Traditional Method Spumante Diamant Blanc (more to come on the world of fine Italian spumante and their production methods). Classico is a touch more confusing. Italy suffered from its own popularity in the 1980s, and some of its more popular wine regions began to burst at the seams. 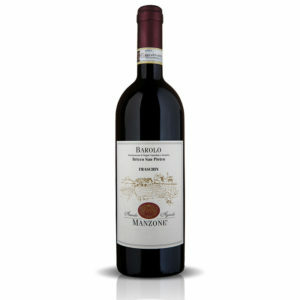 Classico denotes a bottle that comes from the original area the wine is from, with Chianti Classico being the most famous example. 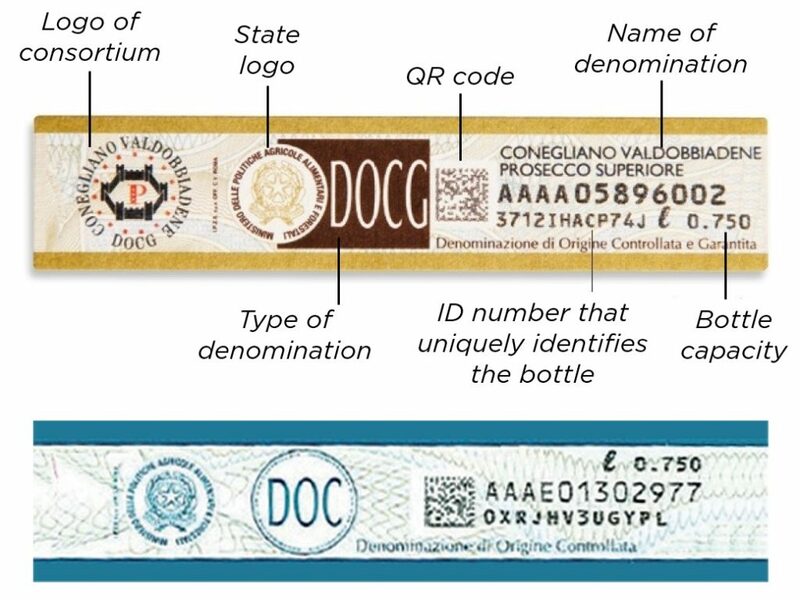 The state label produced by the Istituto Poligrafico and Zecca dello Stato ensures that the DOC and DOCG labelling is only affixed to wines that are authentically DOC and DOCG and prevents the attribution of the designation of origin to generic non-certified wines. 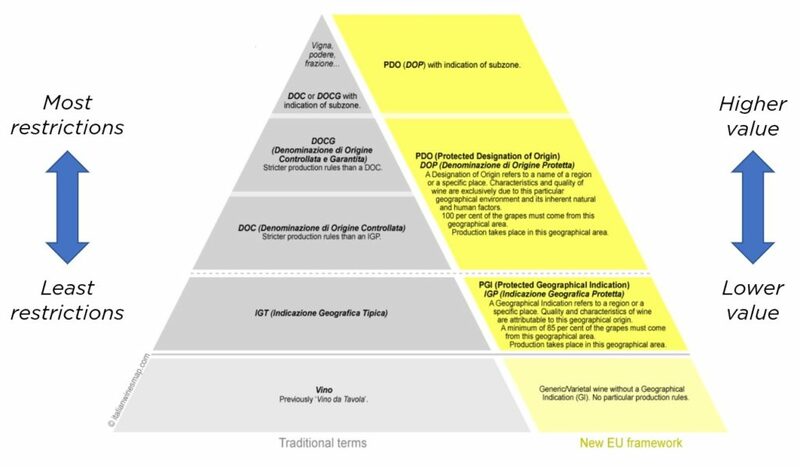 It should not be forgotten that the two DOC and DOCG marks are slightly different: the DOC is optional, while the DOCG is mandatory. 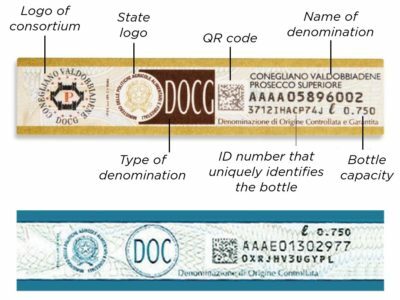 From the voluntary use of the DOC mark we understand that the wine producers are themselves victims of the possible counterfeiting and find in the state mark an effective way to defend their product. But they also need the help of consumers, who now have a new control tool. 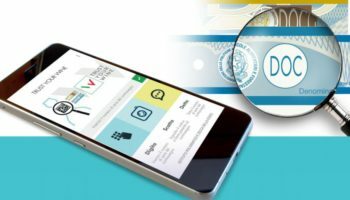 To enable consumers to check the authenticity of the bottles they wish to purchase, the State Printing Office and Mint has created Trust Your Wine, a smartphone application that scans the QR code printed on the state label, queries the information system of the Institute, checks the correspondence of the codes and displays the information related to the bottle of wine. A very simple way to be more aware when we make wine purchases and give some satisfaction to the enormous efforts that Italian wine producers face, in order to give us a product that has no rivals. The Trust Your Wine app is available to be downloaded from Google Play and Apple Store.